Ensure that your chicken dinner has that southwestern sizzle. After teasing the new map for the last few weeks, PlayerUnknown’s Battlegrounds developer Bluehole had the world premiere of the desert environment during The Game Awards. Along with the video reveal, it was announced that the new desert map would be made available on the test server a few hours after the end of the show. It will remain in testing up until the PC version of the game officially launches on December 20. Here’s how to get into the map and see it for yourself. To access the new desert map, you must have the PlayerUnknown’s Battlegrounds test server client installed on your PC. It is only available to owners of Battlegrounds. The test server will be included in the list of games in your Steam library. It is a separate installation from the regular PUBG client. The test server client download will be around 11 gigabytes in size. 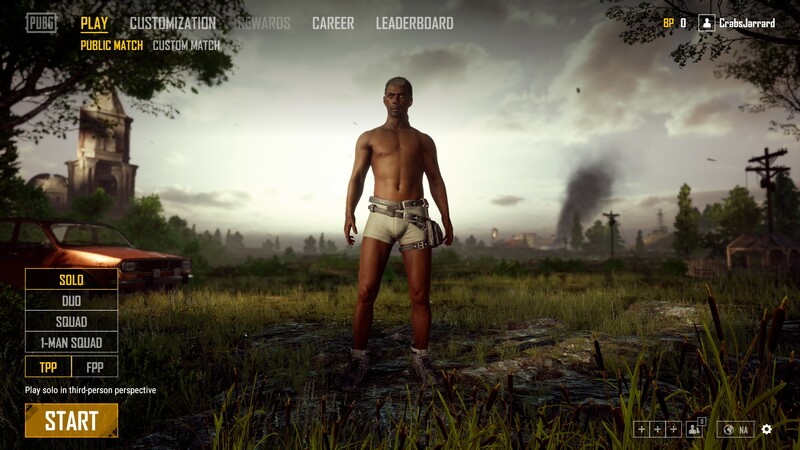 After launching the PUBG test client, you will be prompted to create a new username and character (test server does not use your main character or stats from the stable client). After you complete those tasks, you will enter the main menu. From here, you select the match type you prefer and first or third person perspective. Click the Play Now button. The original map has been temporarily removed from the test server. All test matches will use the new PUBG desert map. Get in there and earn your chicken dinner!